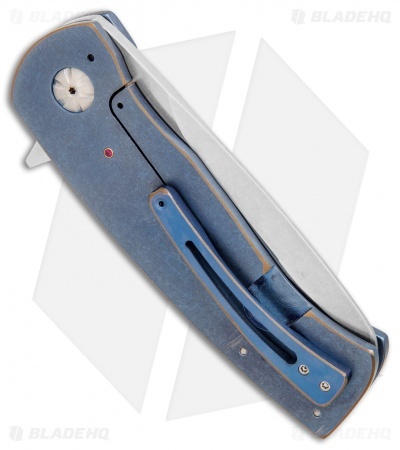 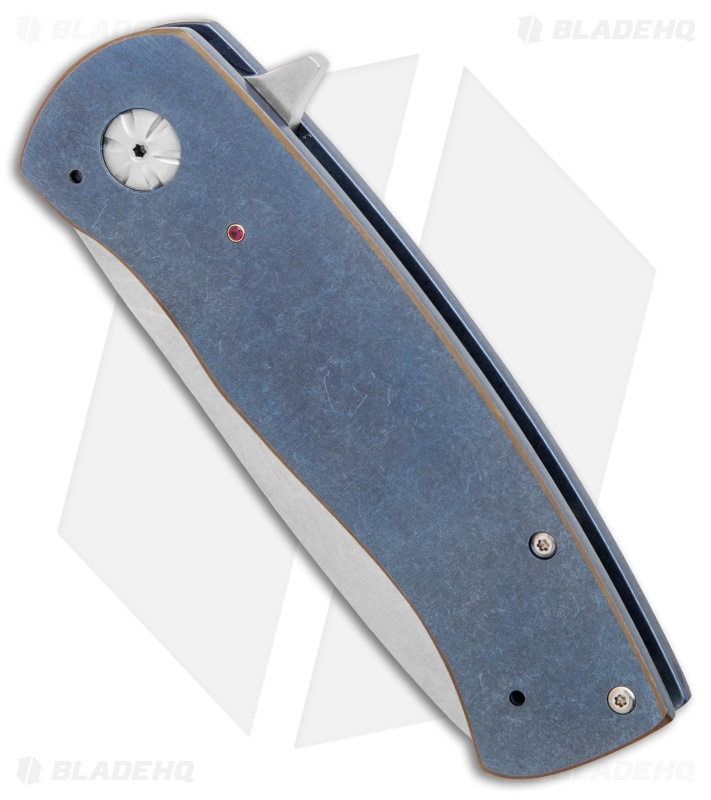 This FL-S Custom from George Muller features a blue anodized titanium handle with brass perimeters and stand offs. 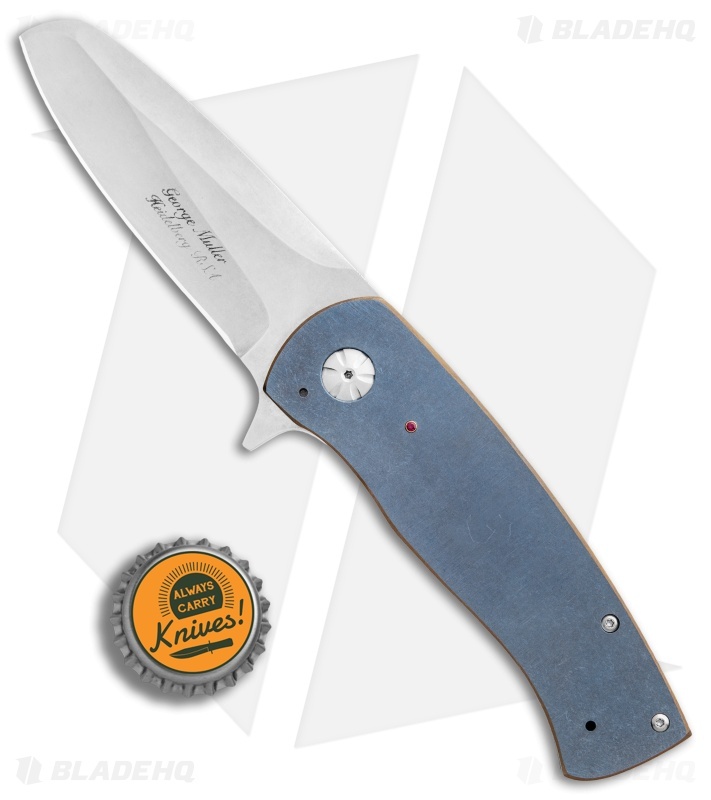 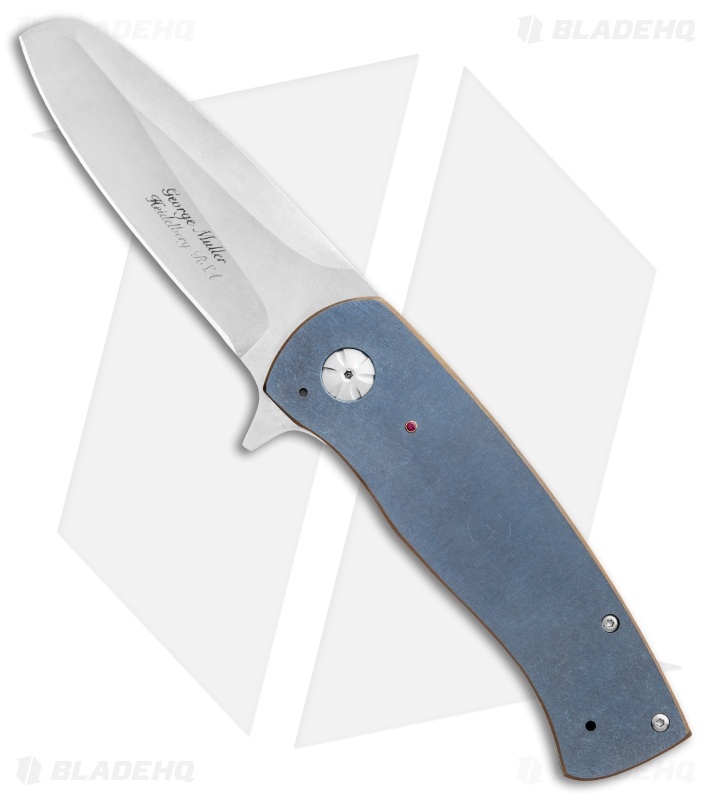 The sheepsfoot style blade has a two-tone finish with stonewashed grinds and satin flats. A titanium pocket clip and a red jeweled inlay complete the impressive custom design.